Our Chibok girls were kidnapped on April 15, 2014. Unfortunately our Dapchi girl, 15, Leah Sharibu is not released and still remains under the threat of death. 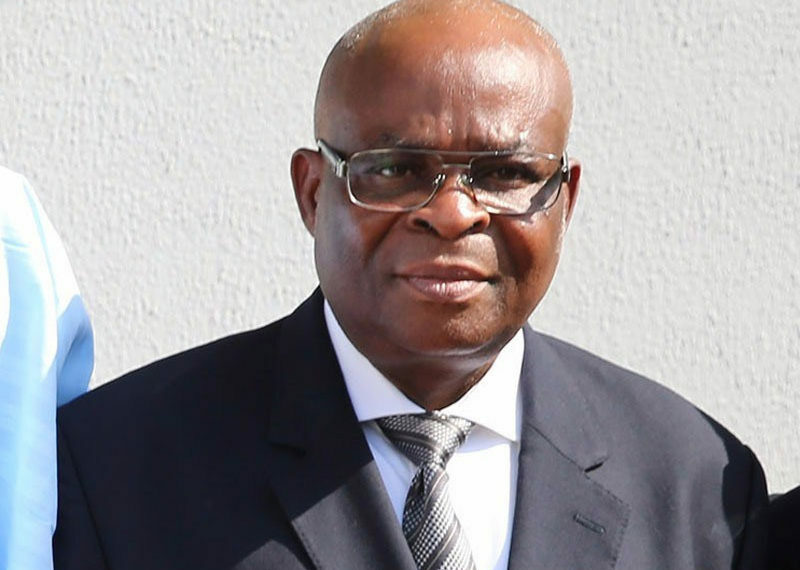 Who is afraid of the Chief Justice of Nigeria (CJN)J? The trial or non-trial of the CJN will create an unnecessary dust storm or is it s smoke screen? Power failure is not our lot. It is the result of a plot to keep Nigerians busy existing so we cannot interrogate the huge failure of our government to provide more power to meet the needs of the nation without resort to hyper-expensive and debilitating generator power. I had the privilege of visiting Nike Art Gallery in Lekki, Lagos, during the last week. The layout is amazing, rising four floors to a peak, each floor packed, and I mean packed, with a treasure trove of artworks covering all known genres. From the courtyard and its array of peculiar iron welded seats, human and animal shapes to the backyard. From the front doors to the ceiling, the space exudes some of the finest pieces created by our artists of all ages. The colours are an eye-full everywhere you look and the sizes vary from tiny recycled key rings which could easily have become earrings made out of recycled and processed plastic to giant beaded works depicting the Chibok girls looking despondent and abandoned in all their forlorn suffering. Lagos traffic is well represented. The naughtily immortal Fela has a huge multidimensional foot print, face print and quotes from his songs print and the classic depiction of the beauty of the female form is most strikingly exemplified by the ten or so large brightly painted depictions of an ode to the large size in range of female form at the very top of the pyramid of artistic wonders. I have known the one and only Nike â€“ Chief Dr Mrs Nike Okundaye for more than 30 years. She has always been, maximally energetic and you should see her dancing with her team. I have yearned all this while to visit the museum which I found a delight of indescribable joy. It is a carefully tended oasis of dense knowledge and beauty in the midst of our very rough sea of those unable by self-imposed restrictions and work schedules or just plain unappreciative of the arts. All who enter the portals will come away enriched, enlightened and desirous of picking something up. Unfortunately I could only afford two different catalogues which I purchased for my NGO, Educare Trust, for the youth to understand the value and quality of artistic expression and end-products possible from recycling paper, bottle tops, bottles, metal objects et cetera. This Nike Art Gallery should be on the â€˜TTDâ€™ Things To Do list of everyone in and out of Lagos to get a synopsis of the Nigerian Art world under one roof and at one sitting. There is a legion of lizards somewhere in the gallery, I will not tell you where. Please go and visit and discover where the lizards are. What you see displayed is less than 10 percent of the actual quantity of artwork in the gallery. All around you see paintings stored against walls and squeezed between other exhibits each piece begging for a space on a wall. We must do what is done in other countries and develop our private and public Arts and Science Museum and Exhibition footprint. Corporate Nigeria would do well to get behind efforts like that described above of Nike Arts Gallery to help fund the expansion and accommodation of all the accumulated artworks in one or several galleries for the enlightenment of the youth nationwide. This must be coupled to increased student traffic from schools and universities while encouraging more tourist visitors. The Lagos-Ibadan Expressway still under construction has after a two-week respite to allow free movement has reverted to its former depressing narrowing of the lanes to two with disastrous consequences on the travelling public. There is no effort by contractor or supervising government to ease the suffering of the citizens in the massive volume of traffic in those areas, with 5-6 lanes trying to shrink to two lanes. Nigerians did not cause the delay in the construction but it seems that the contractors do not care what happens to the citizens. This type of action must be challenged. Hurray as a result of the wonderful work of exposing N7 billion fraud annually at JAMB by Professor Oloyede, there has been a fall in the cost of JAMB forms. What politicians in positions they themselves identified during pre-election campaigns as â€˜Opportunities to Serveâ€™ in National Assembly (NASS) and government have failed to learn from history is that as often â€˜fraudulently electedâ€™ members of the board of â€˜The Business called Nigeriaâ€™, their preoccupation with selfish status quo and greed-driven Parasitic Profit-taking from â€˜The Business called Nigeriaâ€™ has prevented progress of â€˜The Business called Nigeriaâ€™. Also they place too much faith in â€˜Unitaryâ€™, a militaristic, autocratic, one-size-must-fit-all the 365 ethnic populations. The truth that â€˜diversity and differential growth were much more federal even before federalism came to be bastardised and bring much faster developmentâ€™ has been suppressed, opposed and vilified. Decentralization or deregulation will allow new businesses to spring up and new directions to be explored beyond the conservative eliteâ€™s narrow interpretation of the business of governance.